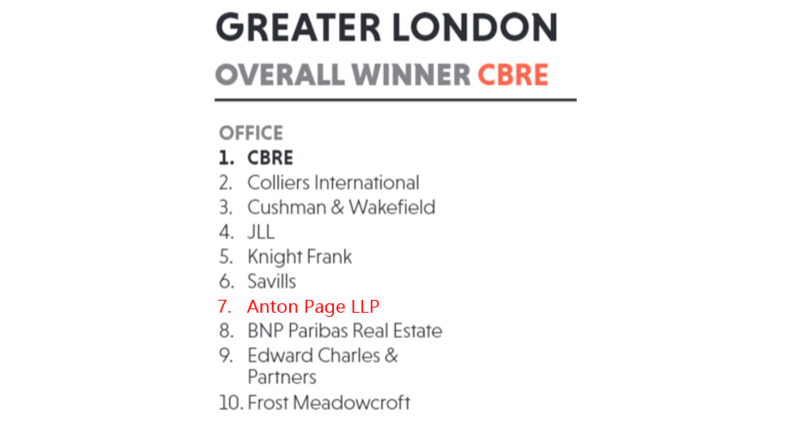 Anton Page are delighted to achieve top niche office agency in Greater London after placing seventh overall in the league table for 2017. The results have been calculated by number of disposals, with Anton Page having completed 112 deals over the 12 month period. With new additions to the office agency team in 2018, we hope to continue and improve upon the success of last year.